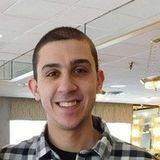 Want to connect with Gennaro? Nice to meet you! My name is Gennaro. I'm hoping to find a baby-sitter job opportunity in Syracuse, New York. I hope to contribute my skill as a baby-sitter. I am available as required. I am comfortable doing date night supervising, homework help, and school pick-up and drop-off. I have personal transportation available. I have extensive experience.